anticipating the arrival of isla rae! well, i went to the doctor’s this am for my 1st exam of this pregnancy expecting the “nothing’s going on” kind of feedback (which happened every exam w/ava, even up until the day of her birth), but instead i heard “you’re 2cm dilated.” what??!! yay! i think all i have left, besides the nursery is some ironing, dusting & charging the cameras. i really want to take some time over the next few days though to soak in ava bean. although i’m excited to bring this new member of our family into the world, i’m just a little sad that my days of solely focusing & doting on my little angel are coming to an end. it was a very quick season of my life. i know this change is a wonderful one, but i’ll have to make a serious effort not to lose track of mommy & ava time in the shuffle. poor hubby has already taken a backseat… i need to work on that aspect of marriage & family. i’ve noticed also that as the pregnancy is drawing to a close, i’m a little nervous about the delivery process again. ava’s was so fast! i dilated 6cm in just 30 minutes! so, the fact that i’m 2 already has me a little on edge. but, like everything else in this pregnancy – what if everything labor-related is totally different?!? will i recognize labor? will the contractions be the same? will it happen just as quickly? plus, i couldn’t have an epidural w/ava – b/c of how quickly i progressed, so i’m opting for the good ‘ole naturale approach again. it’s what i know. i’m gonna stick w/what i know… but, that certainly makes it all the more nerve-wracking… ugh the pain i am in for again… pray for us! i’m curious as to others’ experiences the 2nd go around…similar to the 1st time? who doesn’t LOVE to save money & these days, for that matter, who doesn’t need to save money? i know we do. so, i’ve come across some outstanding deals, blogs & websites thanks to some friends & some literal cyber-stumbling…& why keep a good thing to yourself? i think most if not all of the websites i frequent are now listed in my “daily treasures” column to the right. some of my loves are www.moneysavingmom.com – boy does she have it together. i’m inspired. also, www.ourbestbites.com. no, it won’t save you money, but b/t the cooking/grocery shopping advice on msm, the recipes from the pioneer woman & this site – you will have freezer meals to count on for weeks! hallelujah! getting off topic here, but my brain’s all over – speaking of sam’s…i finally did the math & if you can find normal tubes of colgate toothpaste for less than $2 a tube, then you are actually beating the sam’s club price. i plan on figuring out the same for some other items. i bought 2 6lb. bags of their frozen chicken for about $10 ea (tyson was almost $23 for a 10lb. bag), so i got more chicken for less $ (about $1.67/lb.). it’s not portioned like tyson’s bag, but i came home – boiled half of one bag of the chicken in the stock pot with an onion & clove of garlic then divided it into 1lb. portions shredded. freezer-bagged it – done! now, i’ve been pulling it out for meals. the chicken i left in whole breasts, i’ve been using to freeze in marinades (like the greek one we’re having tonight). that way, hubby can grill it up when he gets home & all the dirty work is done! 9 – uppercaseliving (the wall products i used to sell) is currently running a special…”Through July 15, buy any two items and get any additional item of equal or lesser value absolutely FREE! *” my contact demonstrator is kathy nassar & you can visit the site kathyswords2liveby.uppercaseliving.net to check out the products, contact her & order items…love this stuff! i won’t be having a baby shower, but i’ve signed up for a couple registries to save us money later when we make those trips to get the baby needs (babies-r-us already sent us our 10% off one day entire purchase coupon). well, the other day i got a welcome baby catalog from target (i had registered for a few items there like nursing supplies, extra bottles, diaper genie refills, etc…) & in the catalog was a peel off card for a free $20 gift card for starting a registry! i took it in today to redeem. all you have to do is show them a print-out of your registry. i ended up getting a nursing/pajama top, a maternity tank & a dress off the clearance rack, infant pjs for a friend & diaper genie refills. not bad for free! so anyway…got to get this printer of our’s working b/c had i been able to print, i could have used a $3 liz lange target coupon today too! boo! ok – that’s all for now…. oh wait! one more thing…i’ve joined a rebate site – also thanks to money saving mom’s advice & a button w/ a link is there to the right…look for the one that says “ShopAtHome.com” above my “daily treasures” links & jj heller… 🙂 I don’t buy a lot, b/c things are tight, but just the few purchases i’ve made recently i’ve made through them & have already made our family $15 in cash back rebates… i’m also a member w/another rebate site, but the percentages are never as high as ShopAtHome… they send you a check in $20 increments. free money coming back to you that you had to spend anyway! check it out! as you’ve probably read from time to time already…i have three children. i have been blessed with ava bean, the joy of my life, my isla rae, who is coming soon, soon, soon, & my “heaven baby,” baby “ej.” we lost baby “ej” in august of last year, & based upon some recent events in some very sweet friends’ lives, i think it’s time to open my box & let you in on my experience & what i believe God has tried to show me through our tragedy…hopefully, it will help someone. i remember the morning i discovered i was pregnant again very clearly. i took the test; it was positive; i was shocked – panicked really. ava was only 7 mos old at the time & money’s always tight, you know. we were just getting our bearings it seemed. i wasn’t quite sure how the hubby would react. so i did what any chicken-livered preggo would do & i put a big bow on the test & left it next to the coffee pot (it was very early). then i sat & waited… “shut up! shut up! seriously? !” was the response that came shortly after. imagine my hubby sounding like a high school valley girl – ha! w/out the high-pitched tone of course. he was also shocked, but totally calm & happy, not the reaction i was expecting, but all was well w/the world. fast forward almost 2 mos. everything goes downhill… it was a friday. we see the baby’s heart beat via early ultrasound. (having nursed, my body never regained “normalcy,” so we weren’t sure just how far along things were…) 6 weeks. heart beating fast & steady. baby fluttering around like a little mexican jumping bean w/limbs. beautiful. life. six quick days later…it’s thursday…the beginning of the end. i’ll never forget lying in the er ultrasound room, the tech doing her thing, & hubby standing behind her. his face was all i watched. he stood stiff, staring at the monitor (which i couldn’t see), hand on his mouth in serious concentration, never shifting. he looked at me once. his expression didn’t change. i knew what he was telling me before she did. no heart beat. i still wonder sometimes what he saw while he stared. he just said it didn’t look the same. six days was actually one day. our baby died just one day after we watched him/her bounce around like the happiest little being on the planet. no reason. no explanation. just over. when she left us in the room alone to have a minute, a sound came from my being that i never even imagine existed. i wailed. from the innermost parts of my heart i wailed. it’s a horrible sound. they wanted me to have a d&c the very next morning, but i refused, b/c honestly i still hadn’t accepted it yet. i was scared, in denial, numb…all kinds of things. i wanted to do things privately, alone w/my unborn child & husband. i bought myself until monday morning. 9pm sunday night, it happened…labor. i know this, b/c i labored once already. contractions & all. it hit hard & there i was alone w/my husband, my body trying to expel our child while our little girl slept in the next room. by midnight it was over. that was hell. i still had to have the procedure for reasons i won’t go into, but i share this b/c i didn’t realize that you actually give birth. yes, i knew it would be painful. yes, i figured it wouldn’t be easy, but labor? then it hit me that so many women have to experience this form of labor as their first time. i had been blessed w/a previous healthy pregnancy & a labor that was hard, but followed by such joy it was worth it. but this? this was labor w/out victory. this was pain w/out the blessing. this was just cruel. over the course of the days & weeks to come, my husband & i came to a place of closeness through this experience that i believe would not have been attained otherwise. i have come to learn that tragedy can either destroy you or make you stronger. i chose to use the brokenness & adversity to make me stronger & to help me cling harder to God. i never blamed God for this. i know God is love & all things pure & just & good. a loving God does not kill a baby. we are fallen. we are flawed. we are imperfect. we have an enemy. our enemy comes to steal, kill & destroy. these are the reasons why i lost our baby. i knew this, but i still needed help w/the emotions. you love your baby before you ever know them – this is true. i loved that baby from the second that line turned pink. we had baby books already started, ultrasound pics on the fridge & smattered on facebook. this baby was already expected & plans were being made daily in preparation for our expanding family. we even had names. so, i needed help letting go of those thoughts & emotions in a healthy way… i was led to a book called “I’ll Hold You in Heaven” by jack hayford. i had been searching & searching for someone to speak some wisdom & comfort into my soul again in a way that i could receive it, & this book did just that. it ministered to me. the Holy Spirit ministered to my heart through it. if you’re looking for a short book to help spark a miracle in your heart, please invest in this one. it will help. mr. hayford confirmed for me through the Word that my baby is in heaven. my baby is real, fully formed, healthy & very much alive. upon my arrival in heaven, my child will know me & i him/her, as if not a single moment of life was missed between us. that’s the miracle of heaven. “for now we see only a reflection as in a mirror; then we shall see face to face. now I know in part; then i shall know fully, even as i am fully known.” ~1 corinthians 13:12. i got the response a lot, “there must have been something wrong with the baby,” & “this is God’s/nature’s way of taking care of things…” well, first of all, please stay away from saying those things to a woman experiencing the loss of a child. i know those comments come w/pure intentions, but the best response is often a genuine hug & an “i’m sorry you had to experience this.” at least it was for me. second, it doesn’t matter if something was wrong, b/c my baby is perfect now. God’s blueprint for my child has been executed & my baby is just as God intended him/her to be…perfection. (psalm 139) my body may have failed us both, but it’s just a body. it’s going to fail. all the more reason to depend on God & long for heaven. not only did baby “ej” bring my marriage healing in a very real way, but he/she also opened the door for me to talk to so many women & friends who had endured this kind of experience as well. there are so many of us. 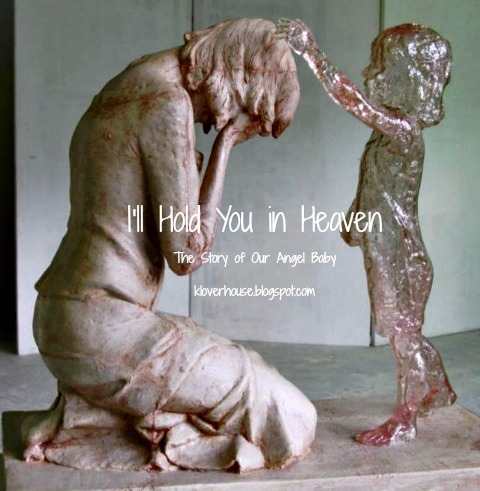 not just speaking of miscarriages now, but the loss of a child. the loss of a miracle. the loss of “what should have been.” there are so, so many of us. while i wanted to clam up & deny my thoughts & pains some days, there was some serious therapy taking place when i connected w/other friends who knew what i was going through. there is a time & place for every discussion & discernement & wisdom need to lead the way, but trust me, it may do your heart good to open up & talk about what you’re going through. 1 – your child is in fact a real, living person…still…right now. it’s ok to grieve them. it’s ok to miss them. it’s ok to acknowledge their existence. currently, i have an earth baby, a womb baby & a heaven baby. period. weird? that’s ok. while mourning the loss of my baby, i got the idea to create a box for him/her. i went to michael’s, bought a little wooden box w/a glass top, painted it, decorated it & filled it w/all of the momentos i had gathered during the pregnancy…even the hospital bracelets. these are the baby’s things. they are meaningful, & this way, they can remain w/me in honor of the life that was created in love & the little person we will meet one day. i won’t get the opportunity to pour myself into “ej’s” life, but this was a something of “ej’s” i could pour myself into on his/her behalf instead. 2 – i could be a mom of 2 right now, but i am blessed to be a mom to 3 babies. i haven’t lost a child; i’ve gained a child. isla would not even exist at this moment if circumstances had been different. God has a purpose for isla on this earth. for a long time, i was emotionally hardened in this pregnancy. hemorrhaging twice, pains, sickness…i was anticipating another defeat, but she’s still here kicking & bouncing around in this very pregnant belly. she’s an additional life that would not have been. God is good & kind & He has brought restoration to this faltering body through her. i am that much more thankful for my children thanks to ej. 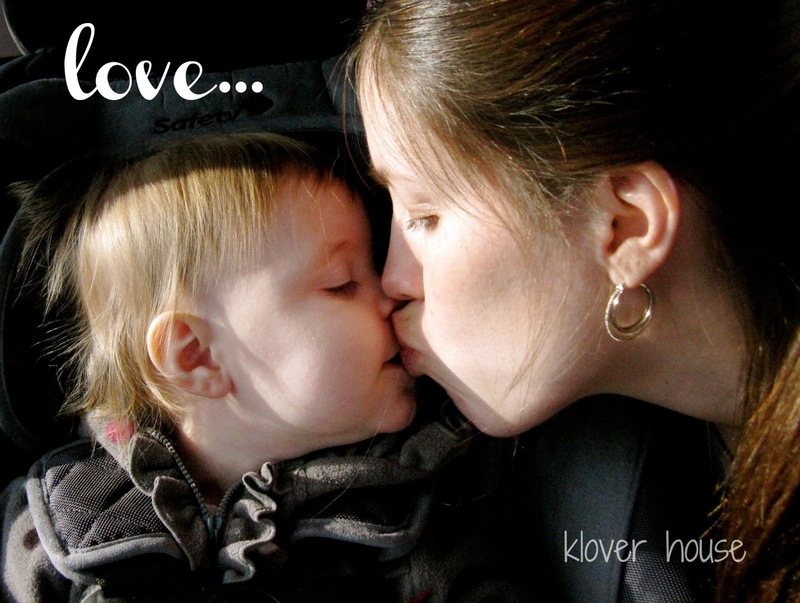 join the klover house family on facebook, pinterest, and twitter! this mama better get a move on…only about 12 weeks left…& that’s only if she makes me wait the whole 40 weeks! 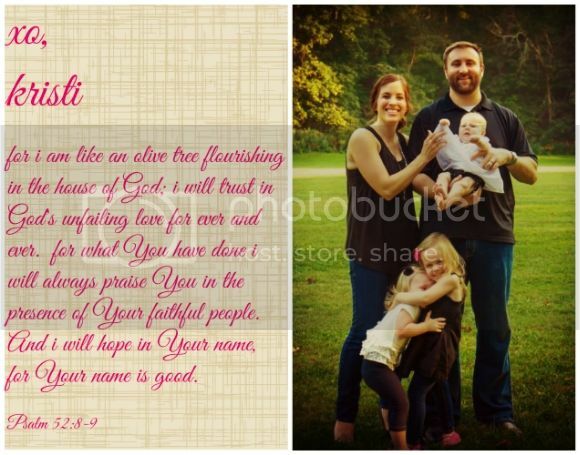 name change…spelling only this time! so what about the spelling after that long story? well, mom likes the scottish spelling w/the silent “s,” but dad wants to stay true to the hungarian spelling & fears she will be called “iz-la” one too many times. i can give up the “s” for those reasons…i’ll survive. 🙂 hopefully, she likes it. so that’s it. that’s the story. neat similarity to ava’s name though…they will both have short, sweet, 6 letter names to pair with our wonderfully unique last name…ava lee & ila rae…my little angels.